Free Shipping And Returns, Every Day. Feel Free To Indulge! Exclusions Apply. See Site For Details! THERE'S ONLY ONE BERGDORF GOODMAN. 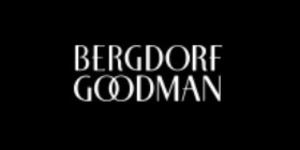 A New York landmark since 1901, Bergdorf Goodman represents the pinnacle of style, service, and modern luxury. Located at 5th Avenue and 58th Street, it is the leading fashion authority and a singular destination for the most discerning customers from around the world.